Photographer Allan McDonald’s series of intriguing garden spaces asks us: wouldn’t it be better if things went just a little wild? Closely shaved lawns bordered by trimmed hedges and an array of symmetrically planted chrysanthemums, perhaps interspersed with a rose bush or two: the average uptight suburban garden is usually a far cry from a wild natural space. And yet, photographer Allan McDonald suggests our approach need not be so regimented, so maintained. 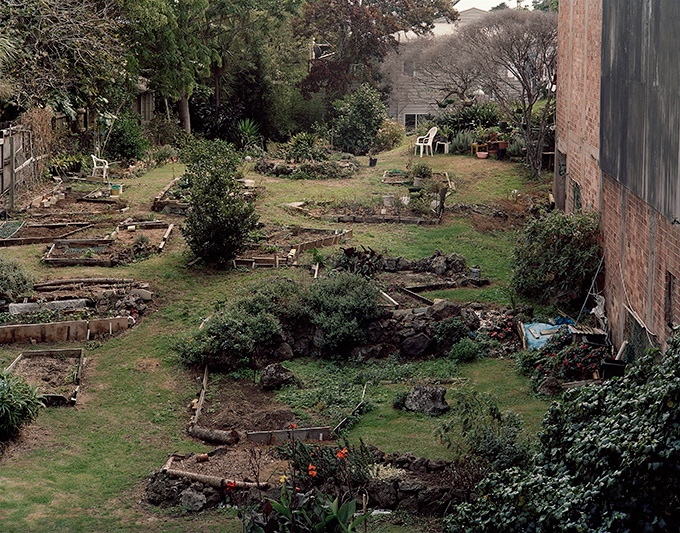 McDonald’s series of photographs of plant-filled urban spaces, some taken in Auckland, presents an approach to landscape that he adores. Named terrain vague, the concept essentially means non-design. “It’s a landscape that isn’t completely domesticated,” he says of the spaces that feature in his images. Instead of prim and proper green spaces, McDonald’s vision comes in the form of semi-wild inner-city gardens. “My pitch with this work is to argue for a looseness and openness in the way we think about landscape, as to allow for a sort of wildness,” he says. “It’s something that exists within the urban fabric without too much money.